In a “revelation” which is likely to lead to adverse reaction from among Dalit activists, the new Socio-Economic and Caste Census (SECC) 2011, the results of which were announced by the Government of India on Friday, there are just about 56 manual scavengers in rural Gujarat (click HERE). This is in sharp contrast to the 2011 Census figures, which found there are 1,408 rural households where nighsoil is “manually received from latrines”. The SECC data suggest, by sharp contrast to Gujarat, rural Maharashtra has the highest number of 63,713 manual scavengers, followed by Madhya Pradesh 23,093, Uttar Pradesh 17,619, Karnataka 15,375, Punjab 11,949, Bihar 5,296, Jharkhand 4,903, and Rajasthan 3,592. 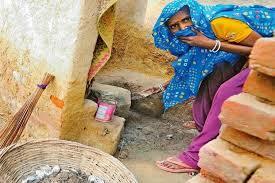 In the country as a whole, there are 1,80,657 manual scavengers. Among other findings, the SECC data show that Gujarat is the second most urbanized state with 40.48 per cent urban households, closely following Tamil Nadu’s 42.47. Gujarat has even overtaken Maharashtra, which has 40.16 per cent urban households, followed by Karnataka 38.74 per cent, and Haryana 35.88 per cent. 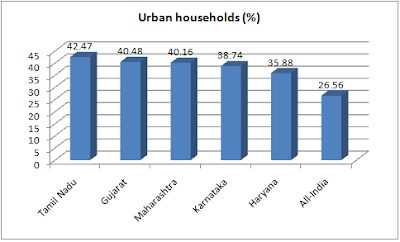 India has 26.56 per cent urban households. In rural poverty, SECC data show, Gujarat has 45 per cent rural households whose income is less than Rs 5,000 per month, as against the all-India figure of 74.49 per cent such households. If SECC is to be believed, Gujarat has much lower rural households with income less than Rs 5,000 compared to all other states except for two -- Andhra Pradesh (29.96 per cent) and Telangana (40.02 per cent). However, interestingly, the figures show that in the higher income bracket – Rs 10,000 plus in rural household income – Gujarat is found to be one of the worst performers with one of the lowest proportion of 4.68 per cent rural households. Only two major states (out of 21) have lower per cent of rural households – Telangana (4.68 per cent) and Andhra Pradesh (3.2 per cent) with incomes with more than Rs 10,000. The all-India average is 8.29 per cent rural households in this higher income bracket. Ironically, the SECC has found, there are much higher proportion of rural households with agricultural equipment of 3 and 4 wheels in Gujarat (8.09 per cent), next only to Punjab 16.16 per cent, Haryana 11.53 per cent, and Tamil Nadu 8.24 per cent. The all-India average here is 4.12 per cent. At the same time, the SECC data show, Gujarat has 43.68 per cent rural households which depend on manual casual labour, less than all states but six out of 21 major ones -- Haryana (42.7 per cent), Assam (42.58 per cent), Jammu & Kashmir (37.28 per cent), Karnataka (32.49 per cent), Uttarakhand (27.98 per cent), and Himachal Pradesh (20.19 per cent). The all-India average on this score is 51.14 per cent. 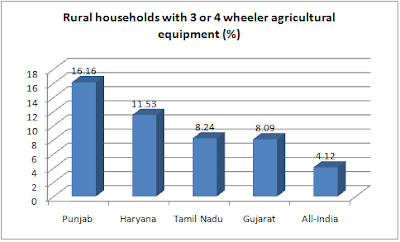 At the same time, interestingly, SECC has found, Gujarat has one of the highest proportion of cultivators among rural households, 41.09 per cent. Only two major states have a higher proportion of rural cultivators, Karnataka (44.65 per cent) and Rajathan (41.74 per cent), with Indian average being 30.1 per cent.